Christian Horner says Mark Webber "signed off in absolute style" with second place in his final grand prix. Webber beat Fernando Alonso to finish second behind Sebastian Vettel and ensure his last race in Formula One ended with a Red Bull one-two. With Webber moving t Porsche in the World Endurance Championship in 2014, Horner said it was impressive that he leaves Red Bull while still competing for honours at the front. "The seven years that Mark has been with the team has been an incredible journey for him and the team," Horner said. "He came to the team with one podium to his name and a great reputation; obviously I tried to sign him a few years earlier than that to drive for the team I had in Formula 3000 at the time. So his pace was never in doubt and he's grown since he's been here. It's been tremendous to see the success that he's achieved and of course he's played such a big part in four constructors' championships, the development of the car; Adrian [Newey] and all of the technical guys have really enjoyed working with him and found his feedback invaluable. "His pace, the speed that he's had has been extremely impressive, but it's been unlucky for him that he's had a team-mate called Sebastian Vettel. I think the way that he's signed off his Formula One career - so many sportsmen you see go out with a bit of a whimper - he's still at the top of his game and he's signed off in absolute style." 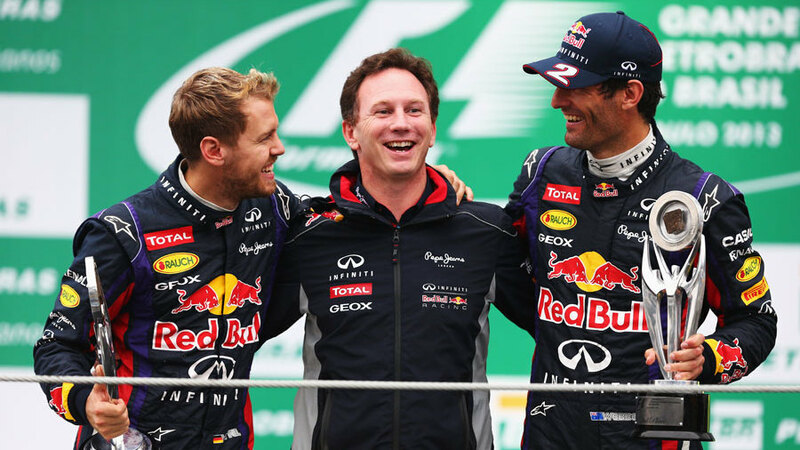 Horner also said Webber should get more credit for the way he has performed in the face of Vettel's continued success. "I think you've got to be a pretty tough character because people underestimate how good Sebastian is. Mark is a very, very fine racing driver and of course it's hugely difficult for any sportsman but he's brushed himself down and got himself motivated; sometimes in a manner that might be uncomfortable for the team to deal with but that's worked for him and he's got the absolute best out of himself."